Finish: A brilliant clear finish reveals the contrast of dark Cathedral Cherry and natural African Rosewood borders. A soft shimmer is added with the champagne colored metal accents. 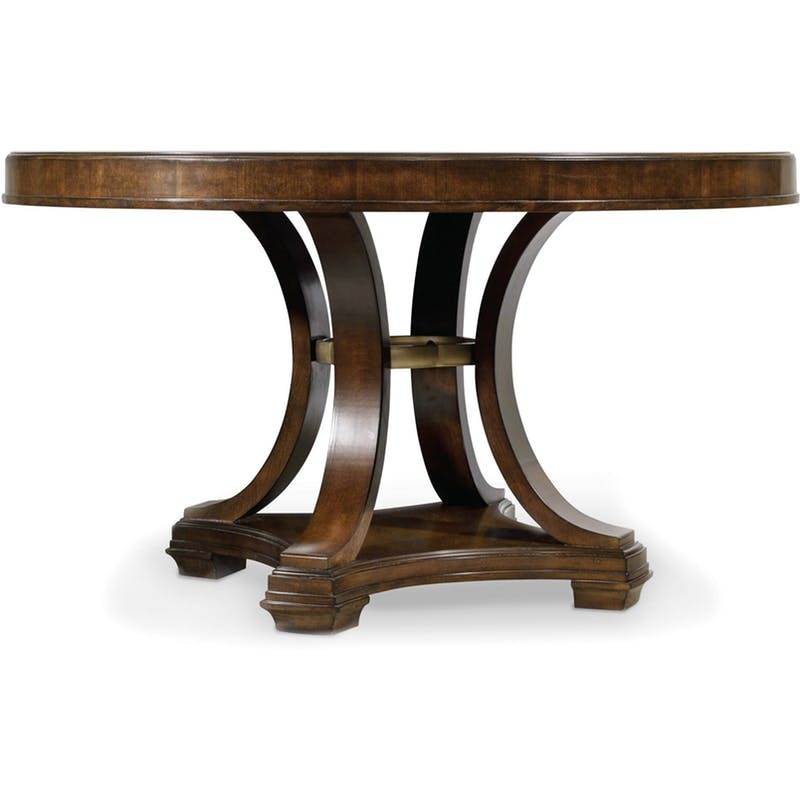 Click here to receive email quote for Round Dining Table item.